First in Canada with Arabic! Guaranteed best price! MAAXTV LN6000N HD: $409.95Can or $315.35us plus tax. Arabic TV with IPTV receiver on the internet. Facebook: Finally here, the latest from maaxTV IPTV, the latest and greatest technology in ethnic media boxes! MAAXTV LN6000N HD is the ultimate entertainment machine. The device delivers video content via broadband to a television set without the use of a satellite dish or a personal computer. 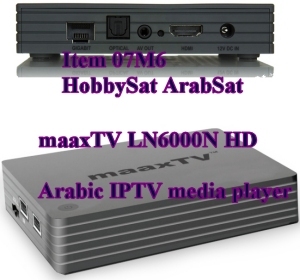 We have the maaxTV LN6000N HD Arabic IPTV media box latest new model. We are distributor in Maritimes Provinces. Get this or any of our other IPTV media box receivers. Like ZaapTV almost exactly, except maaxTV is preferred in other countries. maaxTV LN6000N: $389.95Can or $299.96us plus tax, free shipping. Apps. plus Marketplace for more apps. With access to YouTube™ that has become a metaphor for the democratic power of the Internet. 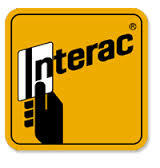 At the same time it becomes one of the largest sources of entertainment and social networking. With access to Netflix™ you can enjoy the highest quality programmes on your screen whenever you want right from you account. Access your Facebook™ account through your MaaxTV LN6000N instantly! Stay updated with friends and your interests from the comfort of your TV with the biggest social media network! Apps and get more apps in Marketplace.